As some of you might know, I have recently started reading Dr. Sarah Myhill's book, Diagnosis and Treatment of Chronic Fatigue Syndrome and Myalgic Encephalitis. It's a huge book, with over 400 pages, and includes so much detail about how the body works and what she believes is happening to sufferers of ME/CFS. I'm so excited about this! I am currently unable to read all the scientific reasoning behind her approach and she actually warns the reader about this issue and does provide a solution for those struggling with brain fog. So I am taking a leap of faith and starting on her protocols with the hope that I will eventually see some improvement in my physical and mental ability. Both of which are seriously low right now. Once I've read the whole book, or enough of it to form a more intelligent opinion on it, I will write a full review, for now I will focus on my journey with the protocols she suggests. As the name suggests, Dr. Myhill suggests a Paleo lifestyle for people with ME/CFS. Not only, but she highly recommends going into a state of ketosis. In a nutshell, this means that we should train our bodies to use fat for fuel instead of carbs and sugar which is so readily available and consumed in our western diet. Usually a low carb, high fat diet (LCHF) relies heavily on dairy for fat supply. Things like full cream, cheese and yogurt, but Dr. Myhill's approach is Paleo, which means a LCHF diet without the dairy. This leaves you with natural, unprocessed foods, so is a very clean and healthy way to eat. I started the new diet, cold turkey, about 2 days ago. Once I had sent a photo of the protocol to my mum, she promptly started feeding me exclusively from the sample menu! I love that my family is so supportive and encouraging. They are doing everything they can to help me on this road to recovery. Today is actually the third day and I am already starting to feel the consequences of eliminating carbs and sugar from my diet. Dr. Myhill explains these side-effects in the book too. It's as if she is walking the path with you, anticipating reactions and providing advice in advance. She has treated over 6000 CFS patients, I find that very reassuring. As far as I can tell, I'm experiencing three of the six side-effects outlined in the book. The first is running out of fuel. Apparently when you make the switch cold-turkey as I did, your body doesn't yet know to use fat as fuel, it fails to keto-adapt as it's still expecting carbs. So your body responds as if it has run out of fuel or energy completely. This causes a general worsening of all symptoms - check. The second side-effect of this transition to ketosis is hypoglygaemia (low blood sugar). This should sort itself out over time, but in the meantime I experience fatigue, brain fog, palpitations and tremors - check. Yesterday the tremors were bad, today not so much. The third side-effect is detoxification or acute poisoning as toxins are mobilised in the system and start to flush out. The symptoms include fatigue, brain fog, and the return of old symptoms - check. There are other scarier symptoms of detoxification, but I have not yet experienced rashes and feeling poisoned, although I have been itching like crazy all over my body. So in summary, since starting this transition to a paleo-ketogenic lifestyle, I've been experiencing palpitations, tremors, muscle twitching, numbness in my limbs upon waking and for hours after. I also have a general fatigue increase, pain increase, return of old symptoms, fogginess, dizziness upon standing up - sometimes blacking out for a moment or two, problems with balance - falling over. Almost all of these symptoms are mentioned in the table of side effects. It is explained in the book that this is normal and the key is to be consistent, avoiding carbs, and the body should keto-adapt eventually. You can order the latest revision of Dr Myhill's fantastic book here. It is a great book, jam-packed with information which empowers the patient to help themselves. There are 2 covers depending where you're buying it, but it's the same book. 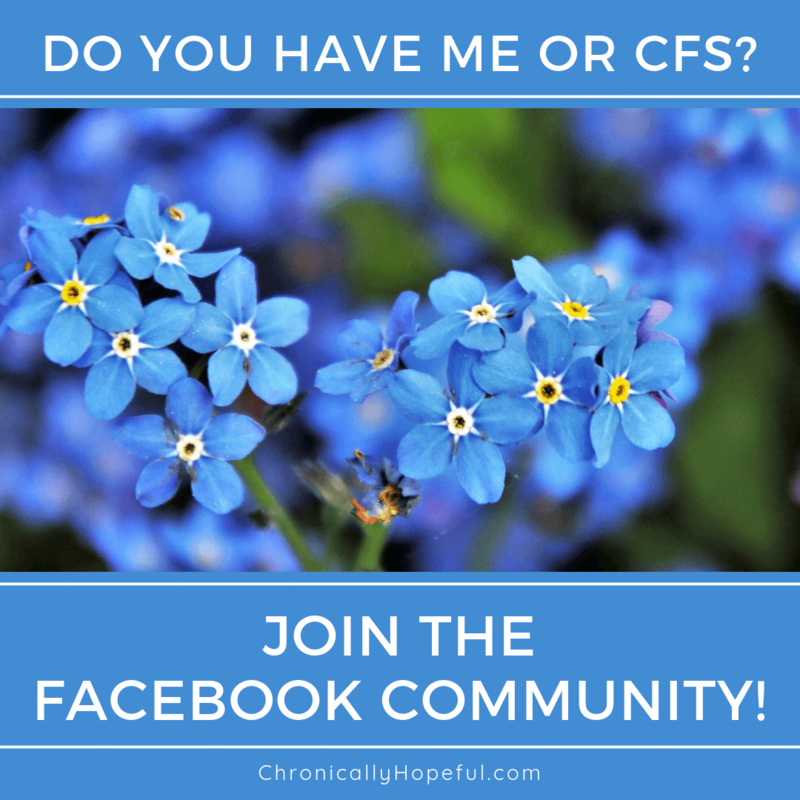 Have you used Dr. Myhill's protocols to treat ME or CFS? Have you made a switch to a Paleo or Ketogenic lifestyle and if so, have you seen any benefits from it? I'd love to hear your opinions, please comment below or send me an email. How Can I Be Physically Disabled And Not Depressed? I am a member of the Amazon Associates Programme, and also use affiliate links from other companies if I love their products and believe them to be beneficial to my readers. If you use my links, I will get a small commission, at no extra cost to you, which will help me to maintain this website. Thank you for your support.